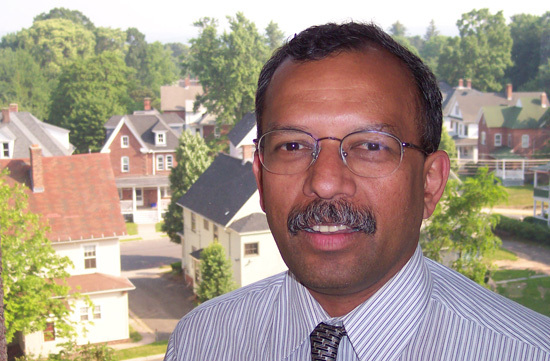 Ganesan "Ravi" Ravishanker is associate vice president for Information Technology Services. In this presentation, Ravishanker provided a brief history of how ITS and Academic Affairs began developing an electronic portfolio in 1998 as part of a new curricular renewal initiative. The electronic portfolio was originally conceived to enhance the communication between the faculty advisor and advisee and help enhance advising. Ravishanker also was a panelist for a NITLE meeting at Rollins College in Winter Park, Fla. Oct. 28. The topic was “Changes in Provisioning and Supporting Enterprise Technology Tools.” The meeting was held for campus leaders such as CIOs and directors of information technology, library, and merged organizations from participating colleges who are interested in focusing on leadership, management at the enterprise level, and networking with peers.